Haiti's charcoal problem affects the environment not just by the cutting down of trees, but by the toxic gases released into the atmosphere. With the newly established TiCadaie, CEO Alix Villedrouin provided a solution that was not only cheaper, but would last longer, and is recyclable. 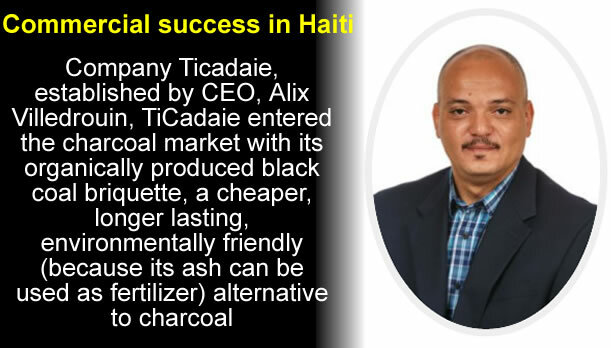 While it still involves the production of black coal briquettes, the TiCadaie product, when burned, produces an ash that can then be used for fertilizer. Hopefully for use in replanting Haiti's forests.